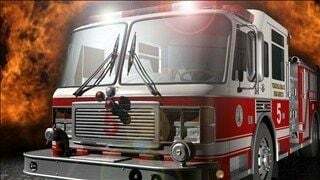 LOUISVILLE, Ky. (WDRB) -- A man is dead after an early morning house fire in southern Indiana. Crews responded to the scene on East State Road 250 in Canaan, Indiana, just before 7 a.m. Saturday morning, according to the Jefferson County Sheriff's Department. Upon arrival, firefighters found the home fully engulfed in flames. 67-year-old Gary Cook, who lived in the home, died as a result. Police said cold temperatures hampered efforts to put the fire out by freezing water and their equipment. Members from the Canaan, Moorefield, Jeff-Craig, Bear Branch and East Enterprise fire departments fought the house fire. The Jefferson County Red Cross also assisted crews on scene, according to the sheriff's department.